Danny is a professional animator and illustrator who graduated from the Rhode Island School of Design with a B.F.A in Film/Animation/Video in 2009. After graduating, he animated for the Emmy winning PBS kids show "Wordgirl," while his senior thesis film "Kensho" screened at animation festivals around the world. 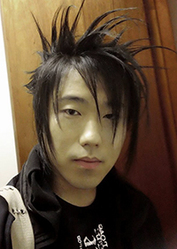 He is now working with Tainted Reality to illustrate "Fixer," a web comic series about an American/Japanese rock band as well as working on his next anime film. His artwork style blends anime aesthetics with fine arts while incorporating elements of visual kei and philosophy.